For Walter Souza Braga Netto, the intervention has been positive for the population and the state, reducing cargo thefts and robberies and increasing tourism. 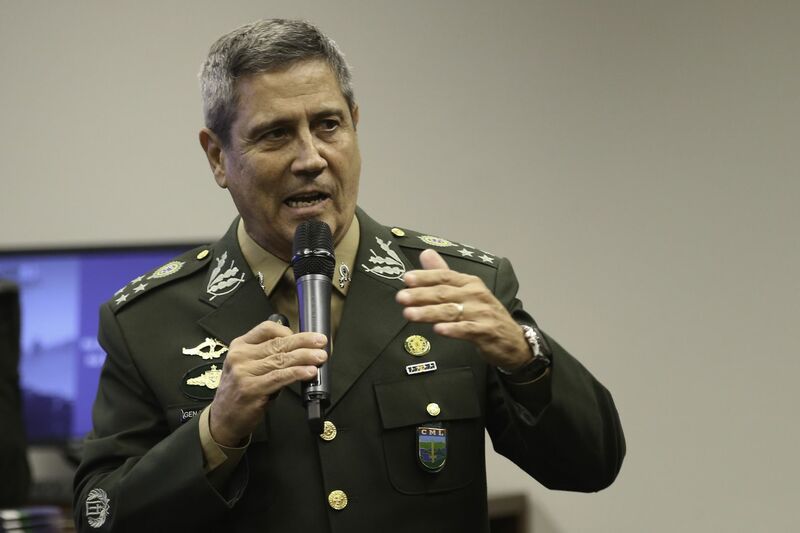 RIO DE JANEIRO, BRAZIL – The army general in charge of Rio de Janeiro’s military intervention, General Walter Souza Braga Netto, stated on Wednesday that there is no need for the military action to continue beyond December 31st, when it is scheduled to end. General Braga Netto speaks in front of Congressional committee about Rio’s military intervention, photo by Fabio Pozzebom/Agencia Brasil. For the general, the intervention has been positive for the population and its main legacy ‘intangible’. “State institutions have been strengthened in the intervention process,” said the officer to reporters after a seminar in Brasilia. Braga Netto defends that the armed forces involved in the intervention be pulled out gradually until June or July of 2019.”There is a forecast of this transition,” he concluded. The intervention on Rio de Janeiro state’s security was decreed by President Michel Temer on February 16th. Most of the action by the Armed Forces during these last nine months have been in the Metropolitan region of Rio de Janeiro city. According to the general, the intervention led to a 28 percent reduction in cargo thefts compared to 2017. Also during this period, there was a 22 percent decrease in cases of intentional homicides and 92 percent decrease of robberies to mail couriers. The positive impact of the intervention was also seen in Rio’s tourism, says the general. During last week’s November 15th holiday, hotel occupancy in the city, rose to 85 percent this year from last year’s 48 percent, according to a government news source. Others however are not as optimistic. According to the app, Fogo Cruzado, which allows users to report violent incidents to its community database, there has been an increase in shootings since the intervention began. From February to November the app has recorded 48 events where three or more civilians were killed. In 2017 the number of events with several deaths totaled 28.